At Move-It Rental, Inc. we know how stressful and exhausting moving can be. Whether it’s a small office move or the entire contents of your house, we have everything you need...from moving truck rentals to tape. We offer wardrobe boxes, mirror boxes, dishpack boxes and file boxes, as well as packing tape, newsprint, bubble wrap and furniture dollies. 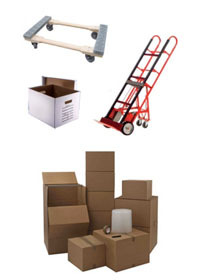 Move-It Rental, Inc. will help make your move go as smoothly as possible.